Today I am participating in Pixel Perfect's Before and After bloghop. Monica is an amazing photographer who shares free tutorials and tips with all of the wannabes, such as myself. She truly has a gift and is uber-inspirational. If nothing else, just check out some of her work. When I first got my 50mm lens back in February I immediately started snapping. Anything and everything I could get my hands on. Somehow this pear became lost and long forgotten in the masses of photos, so I thought I'd give it a proper debut today. It is a gem. This shot is SOOC (straight out of camera). This photo is after it was tweaked. Isn't it amazing how a few tweaks can totally transform an image? 2. Added a kim klassen texture called love and used soft light blend mode of 89%. 3. Desaturated the image to soften. 4. Added a second texture by paint the moon called plastered and used overlay mode of 75%. 5. Added a layer mask to remove some of the texture from the pear. 6. Copied the texture and used multiply mode of 15% to add depth. 7. Added a jessica sprague border overlay. 8. Added k pertiet text. 9. Saved image in pdd and jpg formats. 10. Flattened and added watermark. Canon EOS 50D, Canon 50mm f/1.8, and Photoshop Elements 7 were used for this photo. wonderful before and after.... hoping your day is full of happy!! Fantastic, Alicia! I love it! This is really beautiful and creative! Wow this is awesome! You are very talented! I love it. Wonderful job. It looks awesome Alicia! What a difference the photoshop editing did!! Love this!! Wow. That's gorgeous! I really love this idea. You really did a wonderful job with your edit and transformed you pear capture. Great work. Simply delicious! Love everything you do! Oh I love, love, love this!! What a unique twist and a fantastic edit! 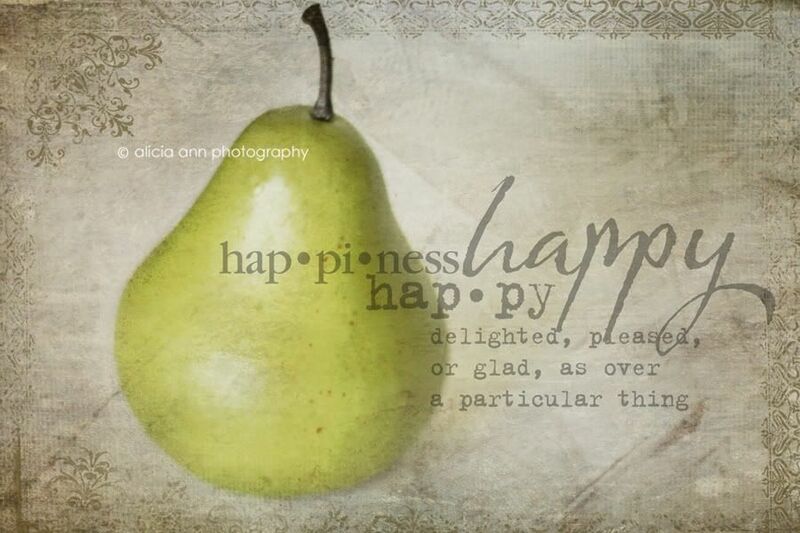 I just think it's cool - I'd never even think to take a picture of a pear and do this to it! Love your edit! Great job! I really wish I had more time to study and practice all of your informative tutorials. You're a great teacher! So pretty, love both the SOOC and the edit! Thanks for the visit. PS: We are a "Hawkeye" family too! How did you find the time to figure out photoshop? Did you take Kims classes? I need to figure it out. This turned out wonderfully. Wonderful tutorial. Very easy to follow. Can't wait to have a go. 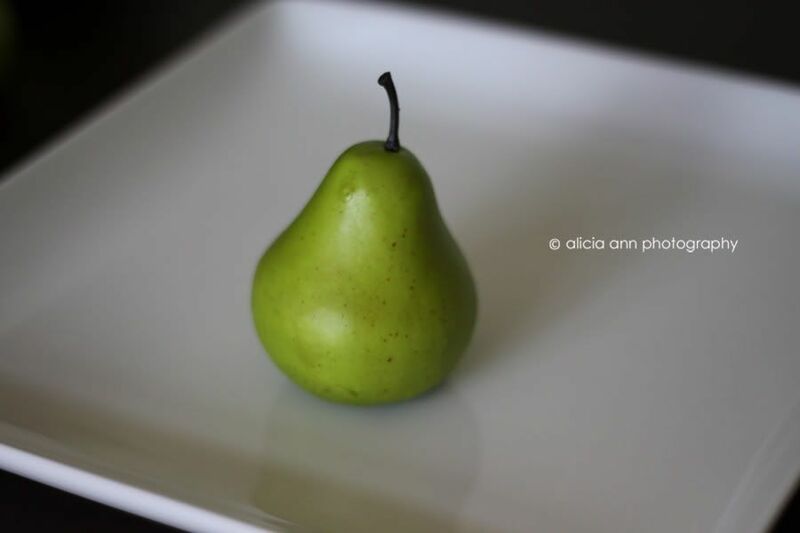 Your before pic was even stunning to start with...that pear looks way too perfect to ever eat! Cool edit! Thanks for sharing how you did it.